Warship Watch. 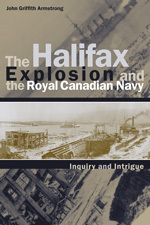 No to foreign warships in Halifax Harbour! Haligonians have a long history of protesting visits by warships. Photo of May 29, 2012 action. 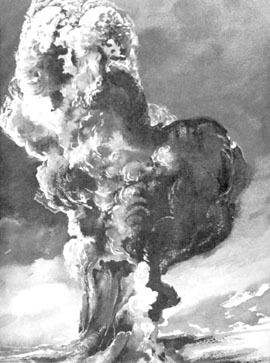 Act of God, the harbour pilot, the navy? During the Halifax International Security Forum the people of Halifax affirm No Harbour for War! 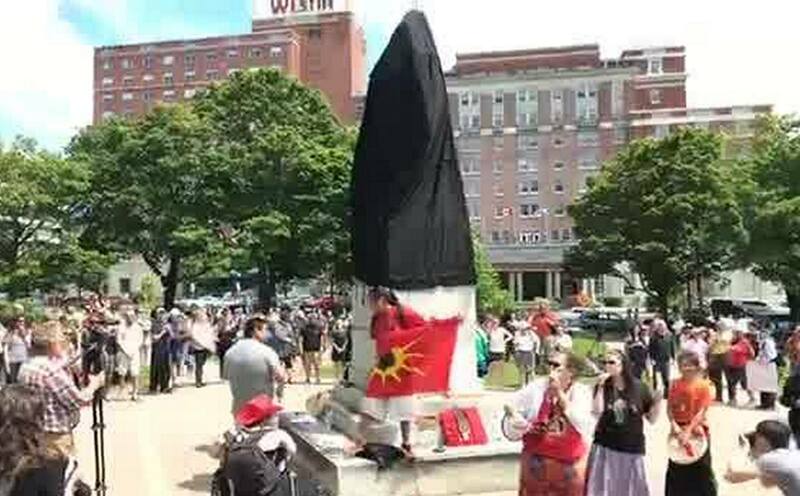 Activists hold 600-strong rally in Halifax on July 15, 2017 as the statue of Cornwallis is covered with black cloth. 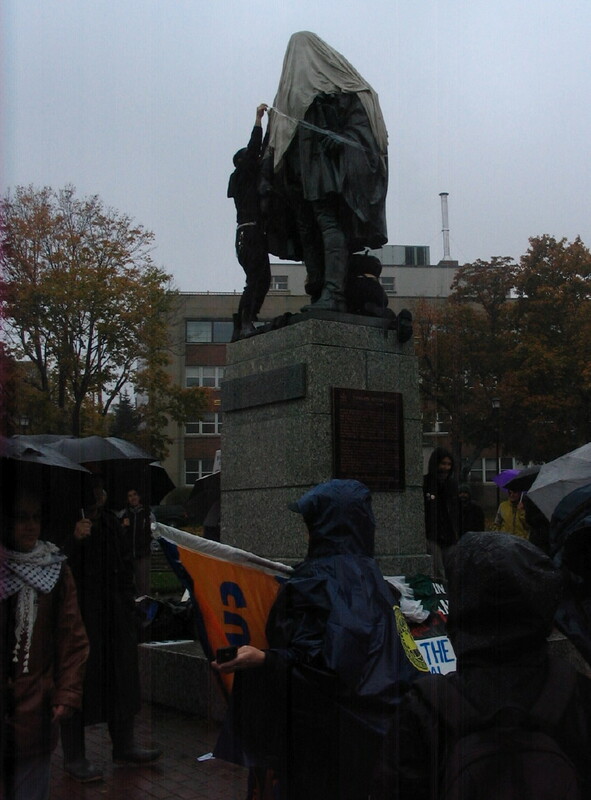 On November 21, 2009 some 200 people gathered in a rally in Cornwallis Park to oppose the inaugural Halifax International Security Forum (HISF), a warmongering agency based in Washington, DC and funded by the Department of National Defence and Atlantic Canada Opportunities Agency. They took the collective decision to rename it Peace and Freedom Park as their very first act, an act carried out in consultation with Mi’kmaq elders such as acclaimed historian Dan Paul.